Teosyal is a Swiss brand manufactured in Switzerland. It is a safe, effective and long lasting, hyaluronic acid based product which is animal free. Patients are able to reap spontaneous results due to Teosyal’s excellent hydration and elasticity properties. Teosyal’s patent formula is suitable for sensitive skins as it contains a less protein and bacterial endotoxin count. Teosyal requires less injection force due to its 25G needle which makes the treatment much less painful for the patient. Penetration into the skin is extremely effective due to the lubricated needles their double bevel design. 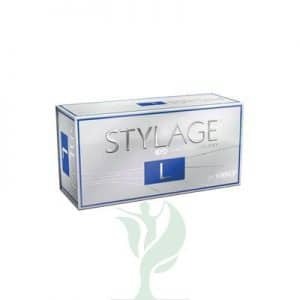 It has a number of product ranges which include Teosyal Global Action (30G) that comes in 25mg/ml of HA, 2 x 1ml syringes per box, and is injected into the mid-dermal layer, being suitable for mild to moderate wrinkles, nasolabial lines, glabellar lines, periorbital and perioral areas. 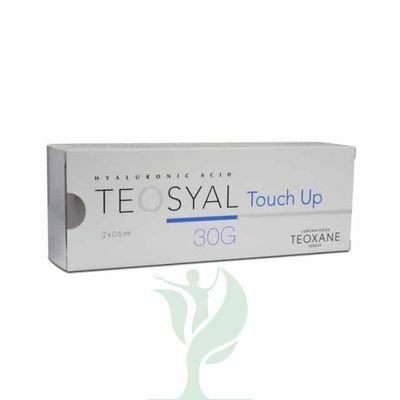 Teosyal Touch Up (30G) is available in 25mg/ml of HA, 2 x 0.5ml syringes per box and is suitable for touch-up sessions when having Teosyal Global Action treatments. Teosyal First Lines (30G) is in 20mg/ml of HA, 2 x 0.7ml syringes per box and is injectable into the superficial dermis, being mainly recommended for fine lines and superficial wrinkles such as crow’s feet. Dense and voluminous in 25mg/ml of HA, 2x 1ml syringes per box, Teosyal Deep Lines (27G) is injectable into the mid-deep dermal layer and is suitable for deep nasal furrows, lip augmentation and facial contours on the cheeks and jaw line. Teosyal Kiss (27G) comes in 25mg/ml of HA, 2 x 1ml syringes per box and is highly viscous, with high filling capability for lips and suitability in reshaping lip contours, lip volume augmentation, mouth wrinkles, lip corner support and rehydrating. Teosyal Ultra Deep (26G) can be found in 25mg/ml of HA, 2 x 1ml syringes per box and is injectable into the deep-dermal layer. It is the densest in the range and accomplishes immediate volume-boost, being best for restoring facial volume, re-sculpting facial contours, deep wrinkles, erasing folds and restoring original curves.